Another Web Hosting Option, If You’re Looking! I know I talk about webhosting solutions a lot on here, but really, it’s just because over the past 10 years, I’ve learned it’s extremely important (especially if you’re a blogger) to have a stable and reliable webhosting environment. Today, I want to talk about DotBlock. DotBlock offers a virtual hosting environment which can offers packages, called “VPS stacks“, with a wide assortment of pre-installed software to help your website project go as smoothly as possible. For instance, I highly recommend WordPress for blogging. There is a DotBlock WordPress VPS Stack available for purchase. 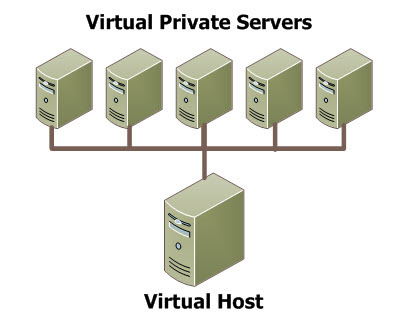 If you’re unfamiliar with VPS (Virtual Private Server) hosting, it is basically a partition of a physical (dedicated) server that is separate from other people’s accounts on same server. This is different (better?) than shared servers in that your bandwidth, space, etc. are your own and nothing anyone else’s website does can drain your resources. Some refer to it as a “semi-dedicated server”. You have your choice of server operating systems and custom features; only what you need. Also, pricing is definitely reasonable and, occasionally, they run ridiculous promos from time to time, so keep an eye out! Customer service is available through the website through live chat, telephone, or a ticketing system. Support is always super important for a hosting server. DotBlock even has their own iPhone app, which I think is really cool. You can manage your account/billing on-the-go! Just another option to think about when starting your own site! Add DotBlock to your list!